JEECUP Application Form 2019: UP Polytechnic entrance exam will be conducted by Joint Entrance Examination Council (Sanyukt Pravesh Pariksha Parishad, U.P.). This test is held at state level every year for admission into various polytechnic courses in government & private colleges of UP state. Joint Entrance Examination Council of UP (JEECUP) is also known as Uttar Pradesh Joint Entrance Examination (UPJEE). Latest Update: Last Date, as well as Exam Date, has been changed for JEECUP 2019. Check Updated Dates Below. Latest Update: JEECUP 2019 Correction Window will be opened between 1st-4th April 2019. Latest Update: JEECUP 2019 Registration Last Date has been extended till 31th March 2019. Latest Update: JEECUP 2019 Registration started from 20th December. hurry up and fill the Application form before 28 February 2019. To take this exam, candidates will have to apply online UPJEE Polytechnic Application Form. The application form will be available on the official portal. Interested candidates can fill the application form and must submit the form before the last date. This exam will provide admission into various diploma courses in the field of engineering & technology, management, pharmacy programmes. See the details about the UP Polytechnic in this article. 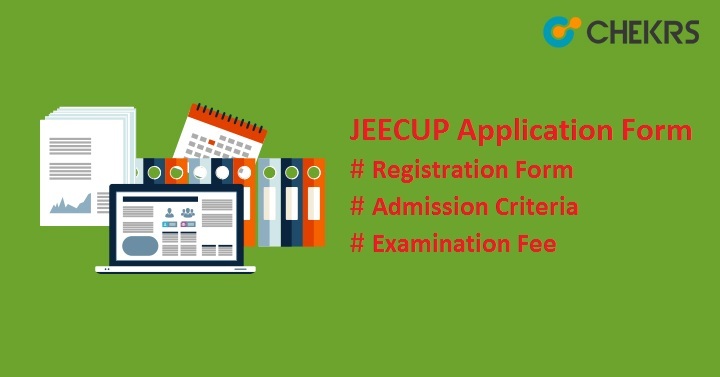 JEECUP Exam dates will be confirmed after the release of Official JEECUP notification. Candidate can check the tentative dates here. This table will be updated with the notification. Engineering & Technology Diploma courses Must have completed or appeared in 10th or equivalent exam with minimum 35% marks. Agriculture Engineering Candidates having agriculture subject in class 12 and passed with at least 35% aggregate can apply. Diploma in Pharmacy Passed10+2 exams with science stream with 50% marks for general/OBC (For SC/ST, 45% marks). Post Graduate Diploma course Having bachelor’s degree or appearing in the final year of any course. Diploma in Aircraft Maintenance Engineering Applicants must have passed class 12th with minimum aggregate 50% from science subjects. Note: Click here to know more about the UPJEE Polytechnic Eligibility Criteria. Follow the link to fill-up the application form jeecup.nic.in. Click on the tab “Apply here for UPJEE (Polytechnic) 2019”present on the home page. Read all the instructions carefully and then click on “Click here to Proceed”. Fill the personal details, contact details, choose password & security question, enter security pin and then click on “Submit” button. Log in to the account with the generated JEECUP Application no & password. Fill the application form with other required details. Upload the scanned images as per given instructions. To pay the fee, select the option available there such as net banking/ debit/ credit card. Candidates can also pay the fee through the generated e-challan. Submit the generated e-challan with the fee in cash at any branch of SBI. After successful payment transactions, download the confirmation page and take the print of JEECUP Registration /application form for future use.